As with a nice set of wheels and tires or an impressive audio system, a clean paint job is a must as well. We can do anything from mild to wild. Whether it's a Candy Paint Job, Flames, Graphics, or just a deep shine, we can make your dreams a reality. We have a state of the art facility which houses a 30 foot down draft paint booth which means, we can paint pickup trucks as well as vans. Aside from painting an entire vehicle, we can also custom paint wheels, calipers, windows, tail lights, fiberglass pieces and much much more. You love your car, and so do we. And as a Custom paint and body shop here in Central Florida, we want to know: Ever dream about how "awesome" your car could look? When you choose the experts at Creative Auto Boutique, we'll make those dreams a reality. 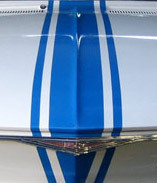 With years of experience, we know every detail there is to know about auto painting. We can color match your vehicle's paint to exact factory specifications and make it look exactly as it did the day it rolled out of the factory, or even better. 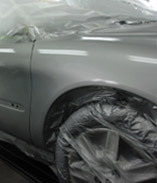 If your vehicle's paint is looking a little faded, bring it on by, we'll breathe life into it. Wanna impress all the ladies, or guys? Whatever floats your boat. Let us make that dream paint job a reality. 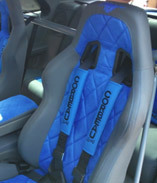 If you need to customize your car's interior, the experts at Creative Auto Boutique can do the job for you. Our custom auto shop offers a wide range of customizable services for your car's interior. We service both foreign and domestic models. With experienced upholsterers, you can rely on us for fast, friendly and quite simply, amazing service. Stop on by, & treat yourself to a new interior. Don't settle for ordinary small changes that nobody notices. Make your car stand out. You want your car to be a piece of artwork. Make a statement with custom body work. Go from having a daily driver to having a car that breaks necks. Creative Auto Boutique can put that extra touch in your ride, all you gotta do is pass by.